Good afternoon! 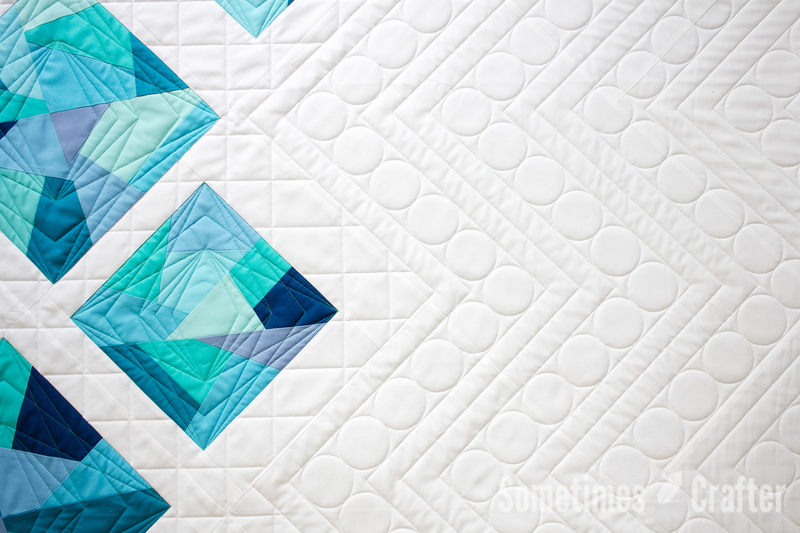 It’s sunny and bright here in the Pacific Northwest today and i’m feeling so productive, so I thought while I had a quilt going in the background i’d take a moment to pop in and show you some photos of Amy Friend’s Sea Glass Quilt I quilted for her last winter. 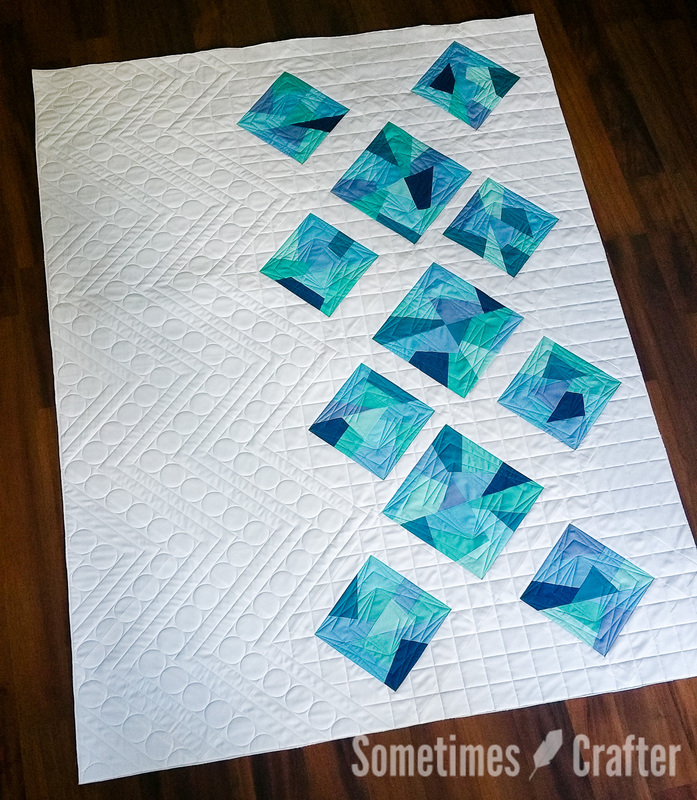 Its one of many quilts in her new book Improv Paper Piecing. 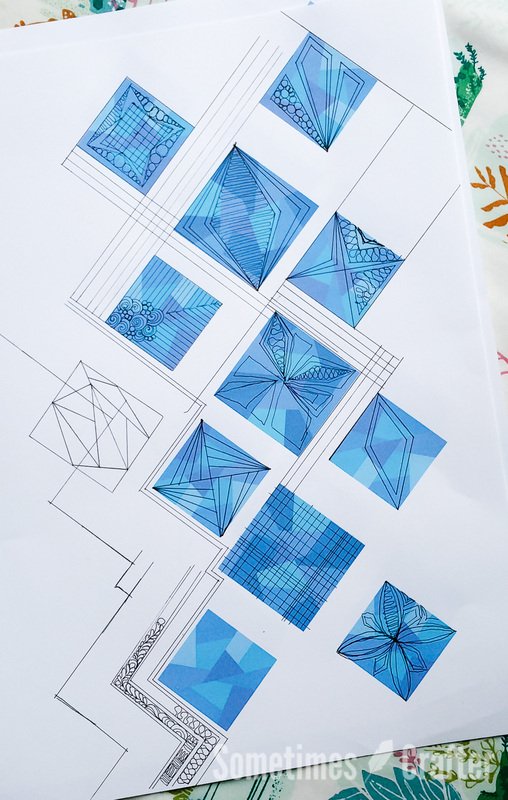 As usual with custom quilts, everything starts with doodles and ideas. I love working on custom quilts, especially customs that have so much negative space. That negative space is always so fun to play in. 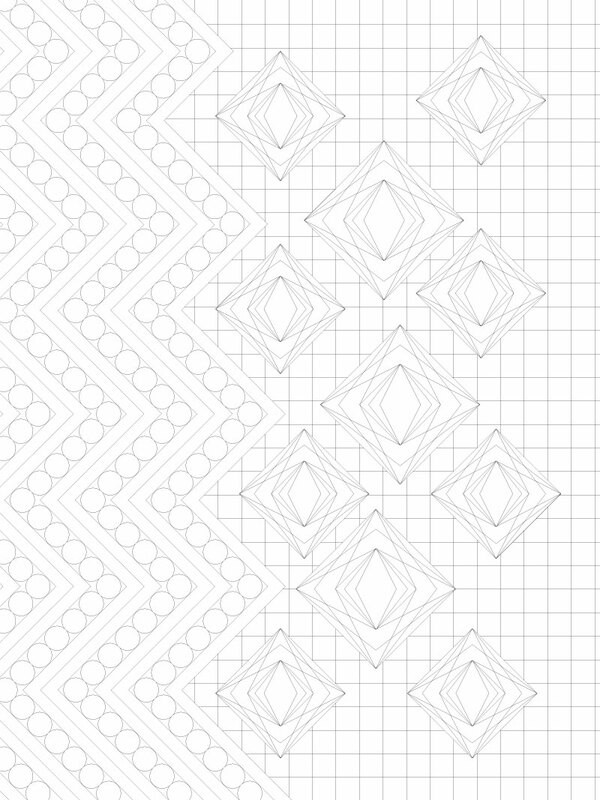 I immediately thought of a zigzag to match the angles of the pieced squares on point. 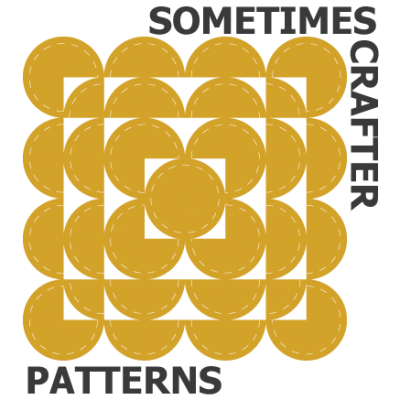 Next I knew I wanted to fill in those zigzags with some circles. 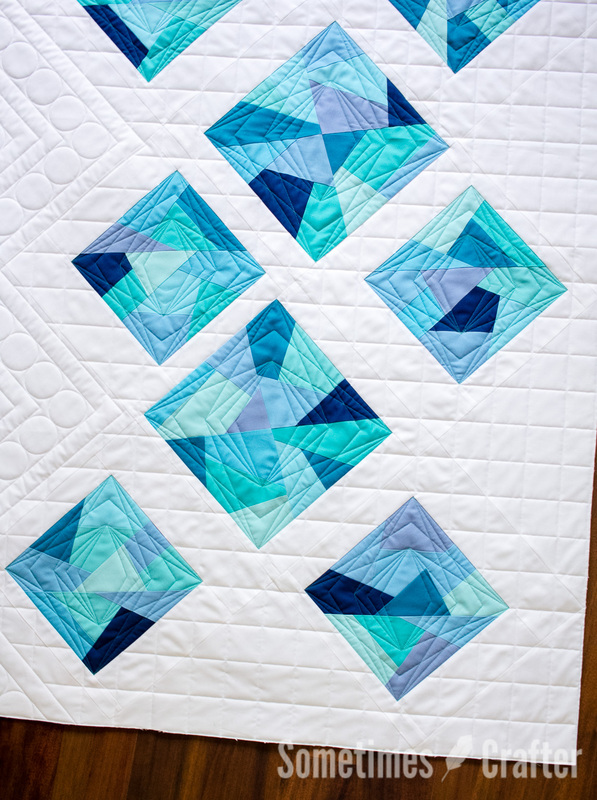 The zigzags not only played off the angles in the pieced blocks, but it also gave the ideas of ocean waves washing up on shore once the circles were added in. I didn’t want to carry that throughout the whole quilt, I wanted to do something different for the sea glass, and to keep with the iconic theme of the ocean I wanted something that played off the idea of the sea glass sitting in sand, but I wanted to keep it open and angular like the “waves”, and a grid just seemed to fit perfectly. I went back and forth on a lot of ideas for the sea glass blocks, but ultimately Amy decided to go with one of the simpler ideas, which I think was the right choice. 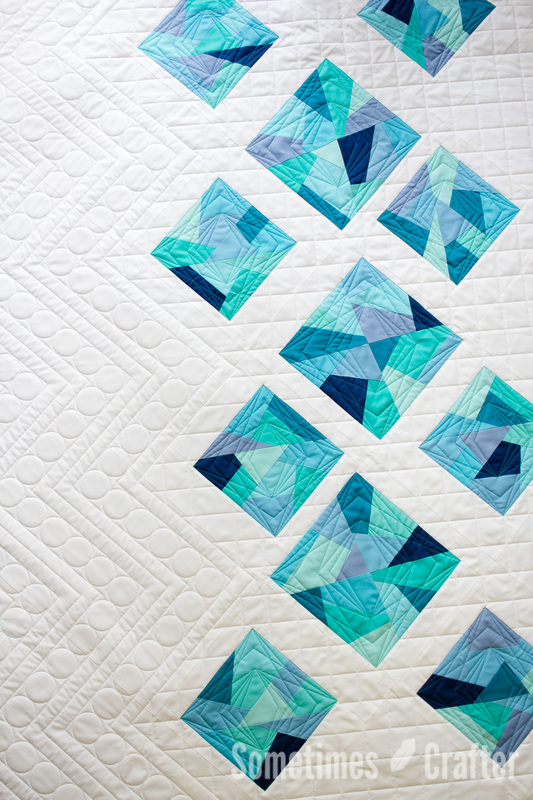 It doesn’t over power the blocks or the other quilting designs, but still holds the quilt securely together. And here’s the final design drafted out. I was very pleased with the final design and how everything came together. 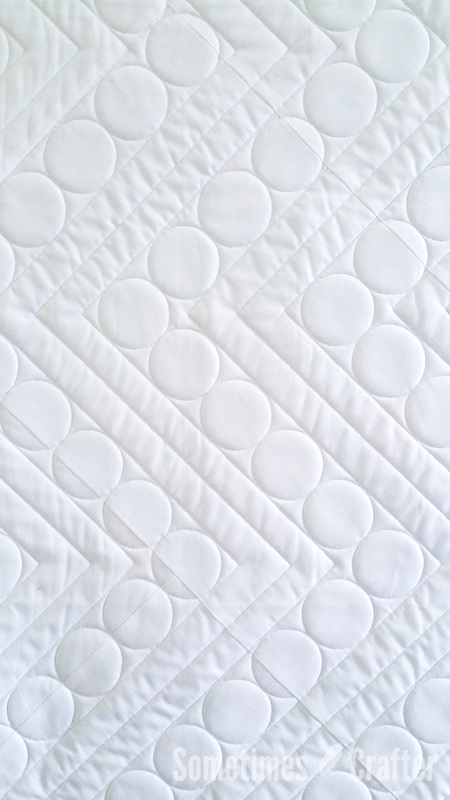 Simple, modern and symbolic quilting – all my favorite words to describe quilts that leave my frame. This is gorgeous. I love seeing a longarm quilter’ s process. 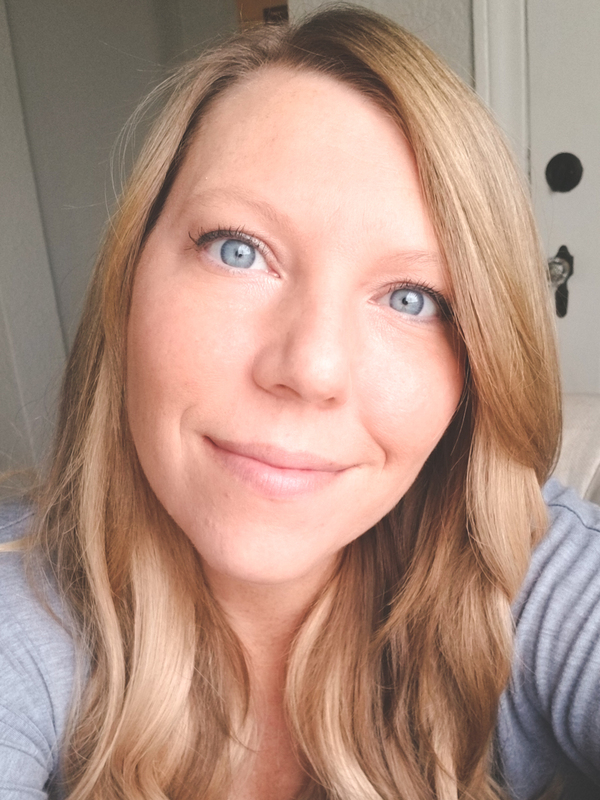 I recently purchased a longarm and it’s on its way to me and so I’m soaking up as much as I can learn! this is stunning! the quilting really makes it!